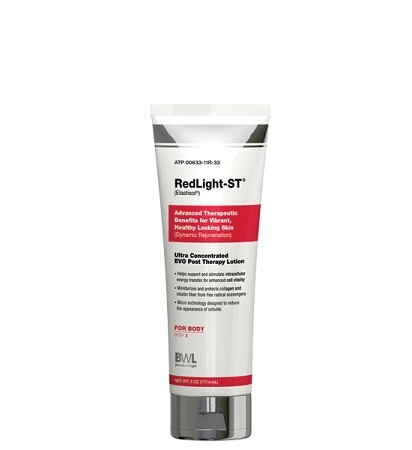 Micro technology designed to help reduce the appearance of cellulite and keep your skins texture smooth and supple. This specifically formulated lotion helps support and stimulates intracellular energy transfer for enhanced cell vitality while moisturizing and protecting collagen and elastin fibers from free radical scavengers. The perfect daily slimming lotion. For maximum benefits, it is intended for daily use in between light sessions. Apply twice daily, once in the morning and then again before bed.